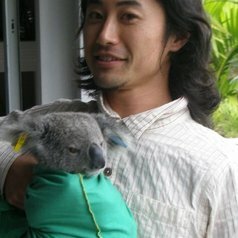 Dr Takuya Iwamura is in transition from California to Tel Aviv, Israel. He is a new recruit for Zoology Department at Tel Aviv University as Senior Lecturer, and is preparing to set up his lab starting October 2015. He is specialized in spatial modeling and biodiversity conservation. He likes to develop novel ways to incorporate ecological and social complexities to effective conservation planning for biodiversity and sustainability. He finished his PhD on conservation biogeography with Prof. Hugh Possingham at the University of Queensland in 2012 with a distinction of Dean's Awards. He did his postdoctoral training with Dr Jose Fragoso and Prof. Eric Lambin at Stanford University on land use change of the indigenous communities in Guyana.